Turn your home into a smart home with technology powered by Alarm.com and Brinton Security. Start Enjoying Your Home Like Never Before! 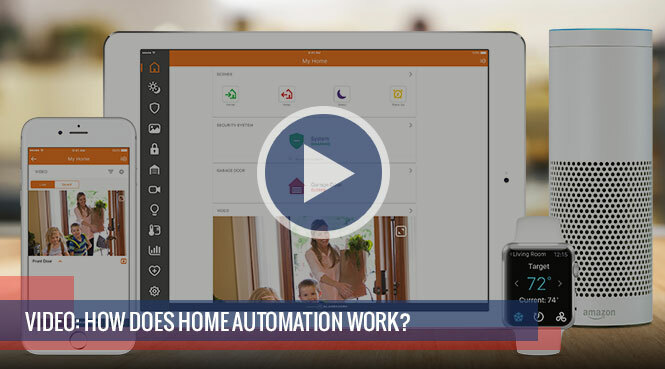 Simple, mobile and enjoyable – automate your life with advanced home control and automation from Brinton Security. With smart apps to power your lifestyle, the only limit is your imagination! At home or on the go, adjust your home’s temperature in one room or multiple rooms right from your smart device, and set custom schedules that cool or heat your home on cue. With automated home lighting, the possibilities are endless. Manage your lights so that no one will notice when you’re away. Set standard light schedules and have them automatically vary at different intervals, so there’s no perceptible pattern to a potential intruder. Stop leaving your key under the mat, or worrying that you left the garage door open or restricted room unlocked. Enhance your security with complete control and visibility over all the entry points to your home – inside and out. Intelligent geo-fencing will unlock your doors, set the temperature to 72 and adjust your lighting when you’re within 1 minute of arriving in the driveway. Welcome home. A well-rounded home automation system will include other modules that are essential to protecting your home and family. Brinton Security offer it all – from intelligent gate systems to custom home theater, we have the systems to make your life easier and more enjoyable.